In the recent weeks, I have been working with my friends on a new 5 minute binary strategy. We’ve had some good results, and we decided to share the strategy with you. The strategy works in both trending and ranging markets; in my experience, it is best to trade retracements. You can try the strategy first on a demo account, and post your results in the comments below. The truth is you can find similar 5 minute strategies for binary options, and I am not pretending to be the inventor of the bands, but eventually we all profit from the original creator, John Bollinger. I have seen the strategy in very complex versions with dozens of different indicators and 7 or 8 rules that need to match in order to place a trade. After all, it is all about price action, and if you follow the indicators blindly, you will be lost. For beginners, I would recommend first learning to identify trending and ranging markets, reversals and retracements. The MBFX bands are extremely helpful in visualizing the price patterns, and adding EMA indicators will show you the direction of a trend. When you are a more experienced trader, you can use the strategy with 60 second binary trades, but to lower the risk, you should stick to 5 minute expiries. I am using 1 minute candles on the chart and placing five minute binary options. If you are using 5 minute candles, you can try 15 minute trades. It is up to you to make the strategy suit your style. As I mentioned, I prefer using the strategy in trending markets and placing trades on retracements. To identify the trend, I am using an EAM indicator. Some of you may prefer using two periods and waiting for crossings. You can also put Fibonacci levels into action to spot retracements. In trending markets, you are buying with the trend: when the price is moving up, you buy Calls, and when the trend is downward, you buy Puts. The best currency pairs are of course the majors, including EUR/GBP and EUR/JPY, where volatility is high and you can expect to see trends more often. In fact, usually prices are ranging, and if you want to use the strategy during all trading sessions, you need to learn how to trade in a ranging environment. For beginners, it might seem more confusing with the price constantly moving up and down, but like in every other process, it takes practice. In ranging markets, the price bounces between the support and resistance levels. 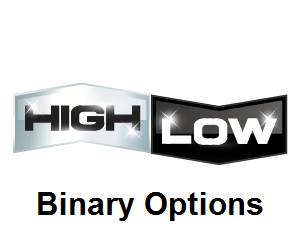 Your aim is to place trades when the price is in the overbought and oversold zones. For example, when EUR/USD is in the oversold zone, you can place a 5 minute Call option. I have used many different indicators, including alarms and arrows popping all over the chart, and the truth is that if you focus on the indicators only, you will be lost. In some market conditions, you might get over 65% wins, but in a long run, I doubt you will have the same result. You should focus on the price action and learn to identify retracements, then you have a better chance to be on the winning side. It is not necessary to follow my signals precisely. You can remove indicators, or add new ones; simply make your own strategy, and make it work for you. In my experience, this strategy can reach even 90% wins in one session, depending on the market conditions. Of course, the outcome for everyone will be different, and it all depends on your skills, knowledge and experience. Knowing the nature of binary traders, I would suggest you start paying attention to the news because, for every trend, there is a reason behind it. Please feel free to share your results with this strategy in the comments below. Should you have any suggestions how to improve the strategy, we are happy to discuss them. Hi, i have a problem with MBFX System.ex4 indicator in my MT4 they won't work only MBFX Timing.ex4 working can i get some help with this ??? Does the MBFX setting the same as the 1 minute strategy: 1 and 4 aqua, others blank? And where you can download indicators please?